Designing a plan to mitigate financial hardship in the event of an unexpected death or other loss can feel awkward and confusing. For decades, individuals and businesses have sought to purchase a life insurance policy to build a wall of security around the people and assets most important to them. How Many Types of Life Insurance Are There? Like so much else in our world, life insurance has gone through dramatic changes in the last several years. 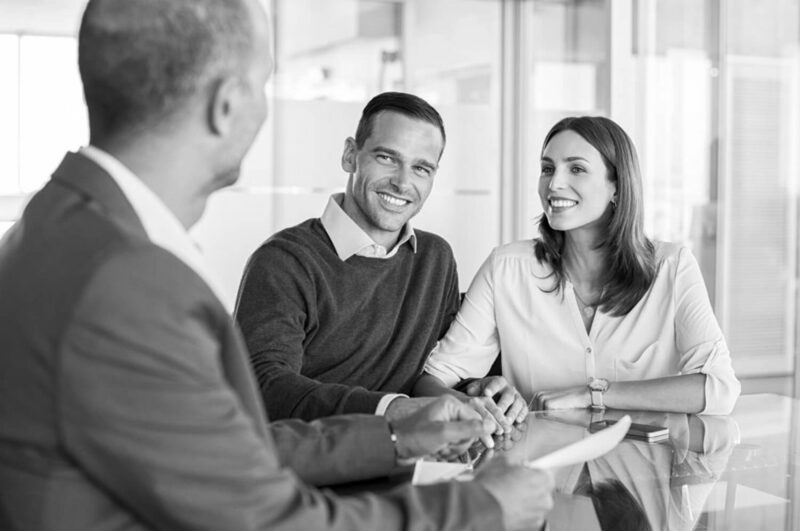 Today, anyone considering life insurance as a way to provide security for their family, their business, or their assets will find that it’s more affordable and flexible than ever. There are a range of products on the market now, from term life to universal life, that allow life insurance policies to be tailor-made for your specific needs. A term life policy is the simplest and least expensive life insurance type. The name “Term” implies a term of years, such as ten or twenty years, in which the premium and death benefit are guaranteed to remain level. The policy will pay your beneficiary the death benefit if you pass away within the set term. If you are still living at the end of the insurance policy’s term (e.g., 20 years), the policy must be renewed or terminated. As the name implies, “Whole Life”, is designed to stay in force as long as you live and as long as premiums are paid. Although more expensive, a whole life policy not only provides a death benefit, it also uses the premiums you pay to grow “cash value” – on a tax-deferred basis – and to return non-taxable dividends to you. You can use the dividends either to lower your premiums or increase the death benefit. After several years, the cash value may actually exceed your premium payments and if designed to do so the policy can become self-sustaining with no further premiums required. In addition, whole life also offers the option of accessing your cash value through loans and withdrawals on a tax favored basis. A universal life policy is another form of permanent life insurance coverage usually designed to last your entire lifetime. Because this is a flexible premium policy, it can provide more flexibility than other types of life insurance. The death benefit can be either a fixed amount or an increasing amount – the face value of the policy plus accrued cash value, which grows on a tax deferred basis. Due to this flexibility, these policies can either be designed as low cost permanent protection or to accumulate large amounts of cash value on a tax favored basis. What If I’m Looking to Build Security Around My Business? Just as personal life insurance can build security for your family, one or more business policies can provide that same wall of security for your company. If a key person in your company such as the CEO, the top sales executive, or an essential engineer were to die, retire or leave for any reason, it could threaten the profitability and continued viability of the enterprise. Life insurance coverage can help protect a business from such an eventuality. This insurance coverage can provide the liquidity needed to help recover from an unexpected death, and either term, whole life, or universal life policies can be used for this purpose. Additionally, the cash value can be used to help provide for future business transition planning or retirement. Proper funding is a critical element of a buyout agreement between business owners. Businesses with a buy-sell agreement can use the proceeds of insurance policies to fund the buy-out interest of a partner who dies, retires or otherwise leaves the business. The payment on such policies can be structured to go either to the surviving owners under a cross-purchase agreement or to the company itself under an entity redemption plan. Getting started can be one of the toughest parts of looking into these options. The best place to start is with a question: What problems can life insurance solve for me? Our knowledgeable advisors are here to help you build the wall of security that meets your specific needs.